We had a wonderful time snapping photos of Santa visiting the Moose Lodge on December 19th. Here are those photos from our gallery. You can click on a photo or follow the link below to download the high resolution photos to your computer or smartphone device. I get it, some of you were ignorant (like me who didn't look at the ratings). I get it, some of you are naive (like me who assumed it would be just like the "old days"). I get it, some of your moral resolve has slowly been whittled away with small frequent degrading strikes like the way Yoda wore down Count Dooku (episode II). But to say the Star Wars Episode VII - The Force Awakens is "PERFECT"? To glorify this movie in front of younglings? To take little padawan learners to the theater for a viewing after you've already seen its content? C'mon! 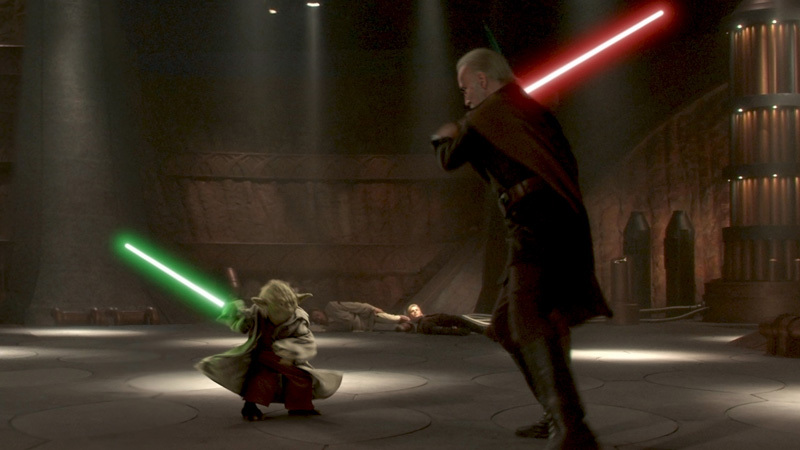 You must not have seen the same Star Wars Episode VII that I saw! Yes. It was extremely entertaining. Yes. It was wonderfully nostalgic. Yes. I was hooked on the story line and I'm hungry for more. Yes. It was vulgar and violent for children. The people I'm writing this to are those parents who are taking their young children to the Star Wars movie KNOWING THAT IT IS RATED PG-13. So maybe you're ok with paying money to hear those 4+ cuss words that my wife and I cringed at. Maybe you're ok with the opening sequence being filled with graphically and gratuitously violent deaths of innocent victims (seriously, that doesn't even count as a spoiler that's the standard opening for action movies). Maybe you're ok with heroes having family dynamics and conflict resolution skills that are worse than Family Guy, Beavis & Butthead, and the Simpsons combined. Maybe you have a 15 year old who loves light sabers but you don't want your 5 year old to miss out on a Chewbacca moment. BUT THIS MOVIE IS NOT PERFECT NOR IS INTENDED FOR CHILDREN. 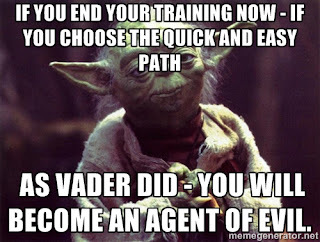 I know it's easy now to say "yes" to everything your child wants, but follow the wisdom of Yoda and continue in your training and education as a parent. Do you know what the PG-13 rating means? Here it is from movies.about.com, and I quote, "PG-13 rated movies stand for Parental Guidance-13, with parents strongly cautioned, as some material may not be suitable for children under 13. " Why is it not suitable for young children? It's because of scientifically quantifiable FACTS like this quote from a CNN (not known for conservative views) article, "Kids under seven have a difficult time distinguishing between fantasy and reality" in regards to violence. Increased fear: also known as the “mean and scary world” syndrome; children, particularly girls, become more afraid of the world around them. Desensitization to real-life violence: in violent cartoon shows, violence is portrayed as humorous, and realistic consequences of violence are seldom shown. Increased aggressive behavior: young children are more likely to exhibit aggressive behavior after viewing violent movies." What that means is that your children might not be able to differentiate between Anakin beheading Count Dooku (Episode III) with a light saber and ISIS beheading their "enemies" in CNN videos. Your child might exhibit the same fear at massive amounts of storm trooper laser gun blaster fights as they would a gunfight video out of Chicago on Youtube. Yet it might mean that your child is being desensitized and doesn't feel any fear, guilt, or sadness at the real events happening in life because they've been glorified in movies since they were young. My 7pm theater experience on Thursday night the 18th was filled dads taking young daughters on dates, crying 2 year olds, and a whole host of kids around the kindergarten age. Many of those parents who brought kids are my friends and they were probably like me, buying tickets while reminiscing about the 1977 version of Star Wars that we loved as children. Guess what, the 1977 movie was only rated "PG", and it was a 1977 version of "PG", which means that it was milder than "PG" rated movies today. This movie is rated PG-13 because it is not intended for your young children. So today's Star Wars: The Force Awakens, is wonderfully entertaining, with nostalgia, plot twists, and non-stop action sequences that keep any adults eyes glued to the screen. But it is a long time ago and a far, far away cry from the Star Wars of your youth. Please think twice before immersing your children into this newest cultural obsession. 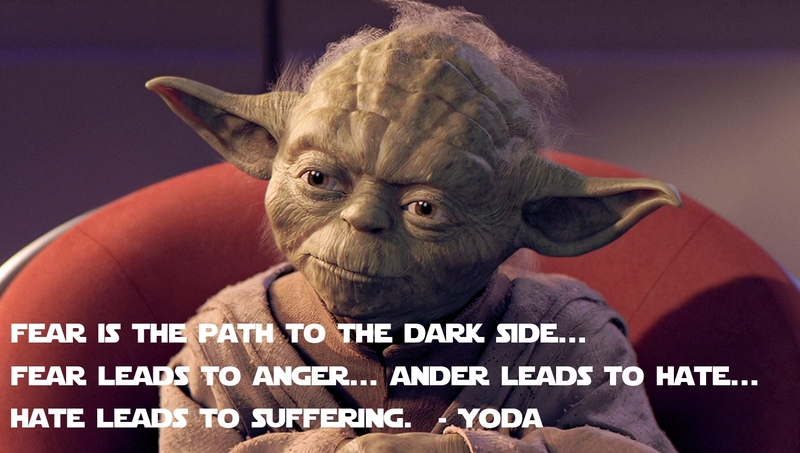 If you want to learn more about the content of movies like Star Wars, check out IMBD's Parent's Guide. It's not the most accurate, but it is a decent tool to educate yourself about a movie's content. Two weeks-off - It's Brrr chilly today! My general rule is, if it is under 40 degrees at play time, it's too chilly for the average player to enjoy the game. Plus our string become a little more brittle at colder temps. Next Week is Christmas, so let's hold out for good new year's weather! Merry Christmas! Click on a photo in the slideshow to download a high resolution version. In volunteering some photography time at the hospital, I learned how to create an automated photobooth with my laptop, camera, and remote flashes. Then my printer automatically printed these out within 1 minute for participants and emailed them a copy. Photoboothing was a lot of fun at the DCH Christmas party. Here's a couple of the results! Who's next!? All the high resolution photos are ready for download free at www.topherwiles.com. 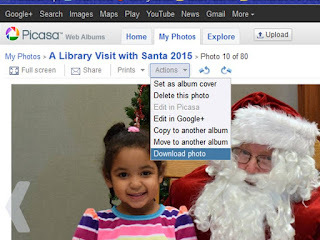 A Library Visit With Santa! The Washington Carnegie Library put on a wonderful finale to their annual music and arts program. Santa, his elf, and a holiday mouse came to play as well! Here are the photos of the event in a high resolution web album. Click the photo you want or follow the link to download the high resolution files free of charge. Once the individual photo is on the screen, click "Actions" and "Download Photo" to get the best quality file. No need to photo credits: use them as you like and have a very Merry Christmas! 11:30am - Arrive at Clingman's Dome - Tour and take photos. Eat lunch. If time permits, hike out to Charlie's Bunion overlook. Do you ever feel like some standards are just impossible to meet? I remember scoring a 92 on my 6th grade report card, which was the only B I had for that grading period. What was my mom's response to 5 A's and a B+? "You can do better." While I thought it was too tough a standard at the time, my mom knew better, and pretty soon I was a regular straight A student. Sometimes I look at God's standards and think "Are you serious? I can't do that!" Take for instance the command in 1Thessalonians 5:16, to "give thanks in all circumstances; for this is the will of God in Christ Jesus for you." Just as soon as I start thinking that God's standard is just too hard, I remember mom's belief that "I can do better." I remember God's statement in Philippians4:13 "I can do all through Him who gives me strength." I remember and then I try hard to meet the standards set before me that will, not only honor God, but bless my life as well. This morning, if you want to try harder to give thanks in all circumstances, consider starting by praying the ancient Jewish Prayer called "ModehAni" before your feet ever hit the floor. It says, "I offer thanks before you, living and eternal King, for You have mercifully restored my soul within me; Your faithfulness is great." Try hard to reach for new levels of thankfulness in your life. You'll be glad you did. Good morning! This is Topher from Washington Church of Christ, bringing you a message minute. I stopped to ask a few boys for directions to the Town Hall where I was giving a lecture. They told me where the Town Hall was and then asked, "What are you going to do there?" "I’m giving a lecture on heaven and how to get there. Would you like to come and find out?" "You’re kidding," one boy said. "You don’t even know the way to the Town Hall." That's a tall order men, but a worthy challenge. Speech, conduct, love, faith, purity. This week, try to set an example for all the young eyes around you to follow. You'll be glad you did. It doesn’t matter who you are, someone is trying to get your attention. Whether it’s a hand raised in class, a campaign advertisement by a presidential nominee, a call light from a patient in the hospital, or a redneck buddy saying those famous last words, “Watch this!”, there seems no end to the line of people you could give your attention to. Being a middle child myself, I’ve always tried to be especially sensitive to Ethan’s attention needs. Since he isn’t the oldest, he often doesn’t get the attention that the “trailblazer” of the family does. Since he’s no longer the youngest, he often doesn’t benefit from the notice that the “baby” of the family does. I’ve worked hard to ensure that he doesn’t have to compete with the others to receive adequate personal amounts of my attention. By actively and purposefully choosing to give him the same amount of attention as his brothers, Ethan’s esteem is high, and our whole family benefits from the balance. There is another being who desires the same (if not more) active and purposeful effort of our attention. His hand has been raised, His campaign launched, His call button pressed, His “Watch This!” loud and clearly ringing throughout His Creation! Notice what God has been doing so that we would all “seek,” “reach,” and “find” Him. Have you given God much attention in your life? 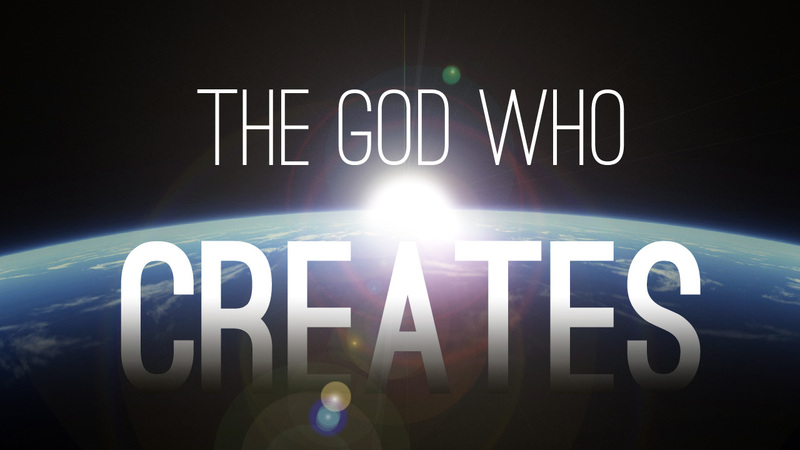 Today, make active and purposeful effort to seek, reach, and find Him by observing what He has made. You’ll be glad you did! Good morning! This Topher from Washington Church of Christ, where I am happy to be recording now. There's something special about arriving home from a long road trip. For Ashley and me, we did enjoy this last road trip seeing family, visiting friends, and sharing our faith, but we were really grateful to finally lay down in our own room at home. In John 14, Jesus excited the disciples when telling them they were almost home by saying, "In My Father's house are many rooms ... and I am going to prepare a room for you." (excerpt from 14:2). 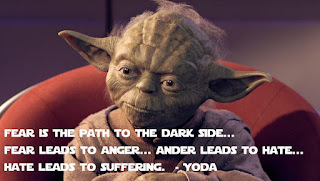 Sometimes the journey through this life is hard, fraught with trials and struggles. But if you read and believe the Good News written of Jesus Christ in the Bible, you begin to see a joyous sign that tells you, "You're almost home." Believe in God, follow His Word, and look forward to finally arriving at Home! Good morning, this is Topher of Washington Church of Christ. 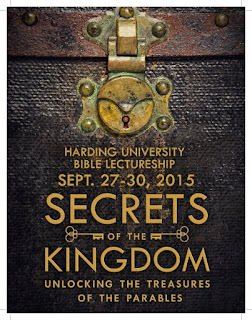 This Message Minute is brought to you from the campus of the wonderful Harding University Lectureships in Searcy, Arkansas. This week we're studying from the parables that Jesus gave the people to illustrate deep truths. 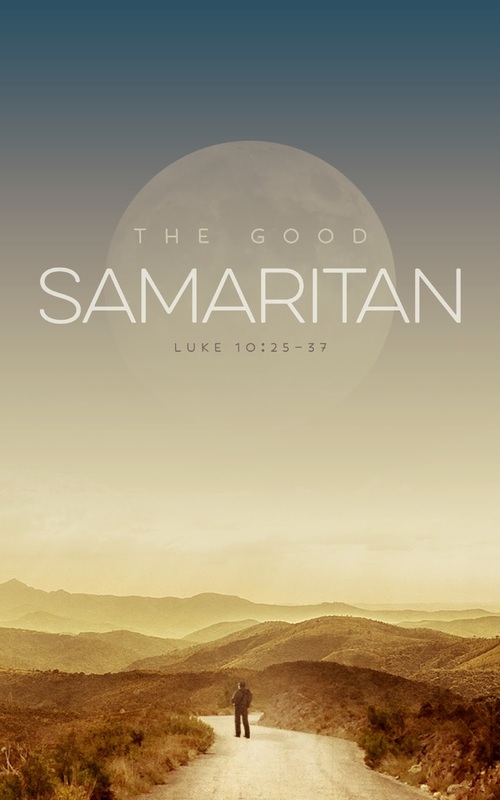 Luke chapter 10 illustrates a story that many of you are already familiar with, the Good Samaritan. A lawyer asked Jesus a series of questions, one being, "Who is my neighbor?" In effect he's asking the wrong question because he is wanting to know what the limit is of his religious required kindness. The masterful Jesus, knowing the shallowness of this man's heart, answers with the story of a man being mugged, beat up, and left for dead on the side of the road. For various reasons, two religious people pass him by and the one who saves this pitiful man from certain death is a foreigner from a different religious system. Harding President Bruce McLarty shared that Jesus' deep truth is simply this. "One cannot define one's neighbor, one can only BE a neighbor." Today, follow the deep truth of our Lord and Savior and find someone in need to BE a neighbor to. You'll be glad you did. Good morning! This is Topher of Washington Church of Christ. 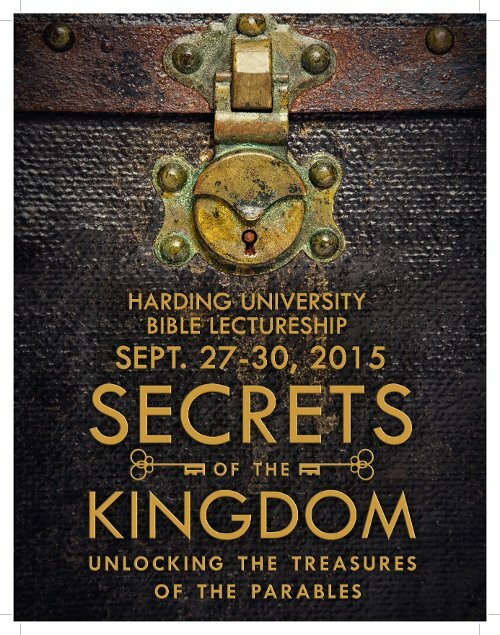 This Message Minute is brought to you from campus of the wonderful Harding University Lectureships in Searcy, Arkansas. The word "friendship" has changed recently hasn't it? In the past it meant to open your home to someone in need; to share in meaningful conversation your thoughts, joys, and concerns; to share mutual affection between people. 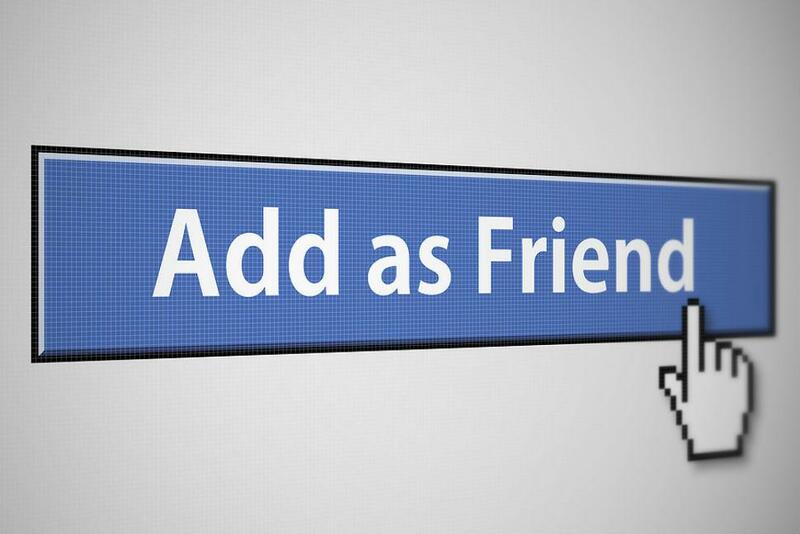 Today friendship has been reduced to an association created between two people by tapping a button on someone's profile on a social media app. You may never engage in conversation but this giant influence in our society calls your association "friendship." Previously, Ashley and I, now in our mid 30's, knew hardly any students on the Harding University Campus. As we wrap up participating in the 92nd annual lectureship in this beautiful sanctuary in northern Arkansas, we would like to share a message with a few students who have offered us real friendship. To the freshmen who joined us on the tennis court for a zany game of mixed doubles, we thank you. To the seniors who kindly let us join your court in a game of "hit the tennis ball as hard as you want", we thank you. To the freshman who let us join you for a 20 minute dinner sharing mutual hopes, dreams, and aspirations, we thank you. To the senior who took a break from your hard library study to show interest in our kids, our mission trips, and our faith in God, we thank you. To the student from the eastern European country of Albania who shared about your faith while showing interest in our own, we thank you. To the college freshman who spent 10 minutes last night caring about all that has happened in our lives since we were in Honduras with you 3 years ago, we thank you. Hebrews 13:2 contains a command that goes beyond the modern social media definition of friendship when it says, "Do not forget to show hospitality to strangers." Harding University, you have gone above and beyond today's shallow associations to show wonderful Harding hospitality to these strangers on your campus this week. We are grateful to call you friends. To all of you listening. Today, don't forget to show hospitality to strangers. You'll be glad you did. Smart strategies for presenting your church’s mission and ministries on the internet. Click the photo to download the full .pdf file. WEBSITE – The website is still your primary method for establishing WWW credibility. Develop this static media presentation first. These dynamic primary information sharing platforms affect different demographics. 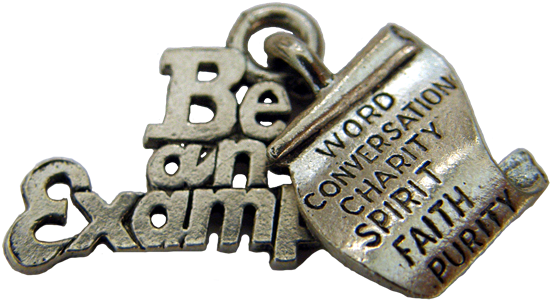 · Facebook – (Women,preteens) Use “Pages” for evangelism.